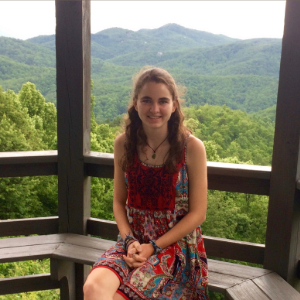 Catie serves as MountainTrue’s Outings and Education Coordinator, where she is tasked with creating ways to connect communities in Western NC to their local environment. Originally from Waxhaw, North Carolina, Catie graduated from Davidson College in 2017 with a B.S. in Environmental Studies and Hispanic Studies. During her first semester in college, she took a wilderness leadership skills course on a whim and discovered a love of the outdoors, particularly as a space to connect with people, teach leadership and build community. She expanded this interest into her studies, and has conducted research on the impacts of land use on stream ecosystem health in NC and on the socioeconomic impacts of national park closures on local communities in Costa Rica. Catie is returning from a year working for The School for Field Studies, an environmental studies focused study abroad program from for college students in Costa Rica. After a year in the tropics, she is excited to be able to call North Carolina’s mountains home. In her free time, you’ll find Catie climbing, quilting and reading anything she can get her hands on.